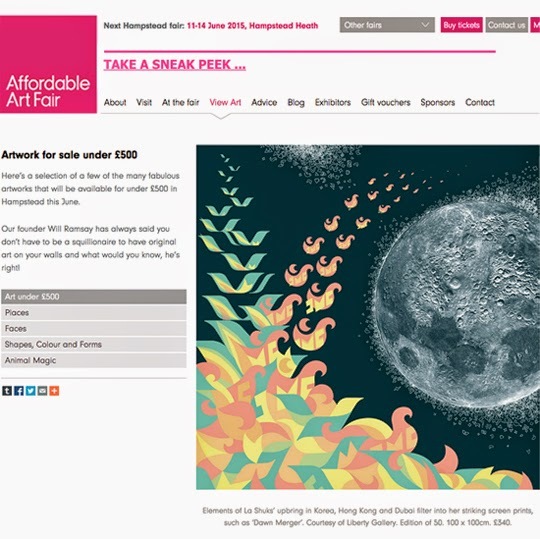 Oh how cool… I’ve just seen that my “Dawn Merger” screen print was chosen as one of a handful of examples of art for the next Affordable Art Fair! I’m looking forward to being there with Liberty Gallery in Hampstead in June armed with a whole host of limited editions as well as originals! 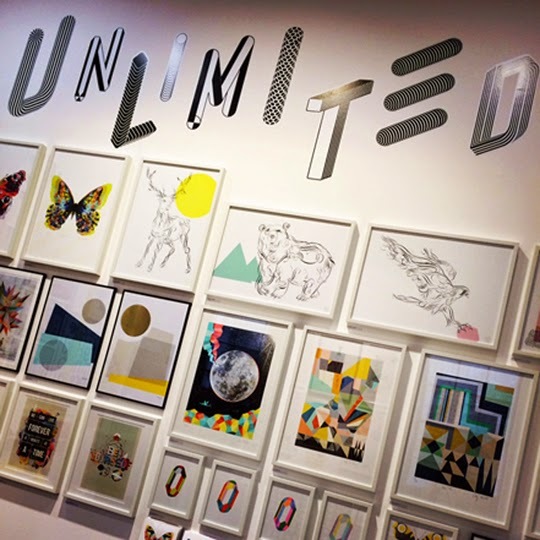 Today is the last day and last chance for London eyeballs to soak up the spectacular of #unlimitedfourplay Pop-up art show at #BOXPARK Shoreditch! All 40 participants were given a FOUR letter word to illustrate in their own distinctive visual style using a fixed palette of FOUR spot colours. Unlimited design studio then incorporated their word into each artwork, creating a unique typographic response for each and an exciting collaborative final piece. Each artworks is a limited edition of 100. 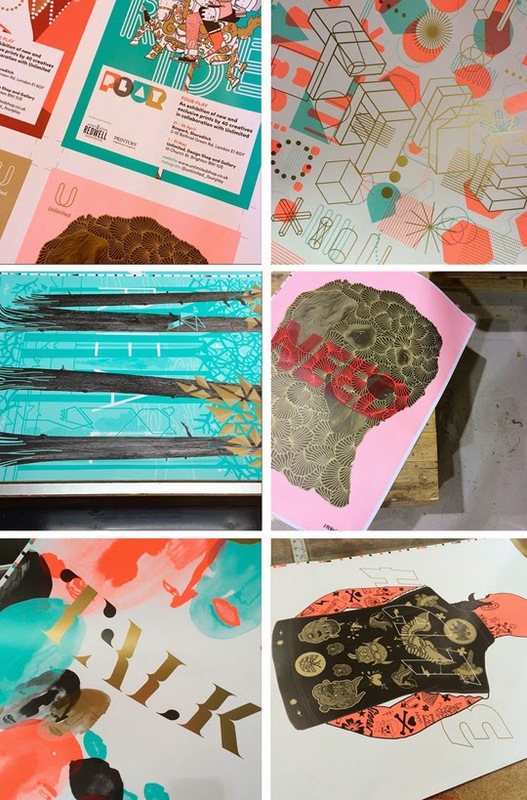 All 50 x 70cm in size, and using the four spot colours - overall an amazing collection of printed type and illustration work! 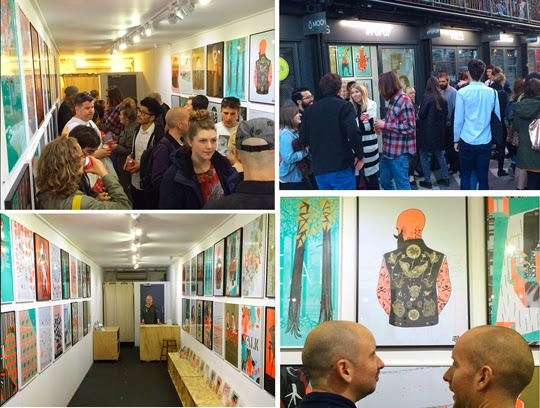 Couple of photos from the first ‘quad’ in the Unlimited FOUR PLAY travelling pop-up art show. 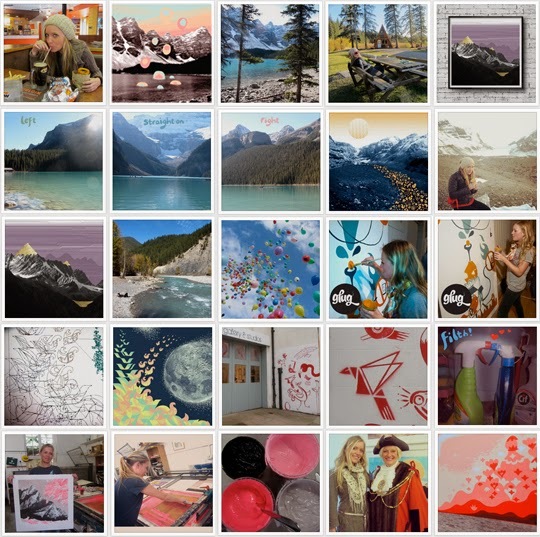 Who knew you could hang 40 artist’s work so harmoniously on the walls of a shipping container! On til this Sunday 26th April. 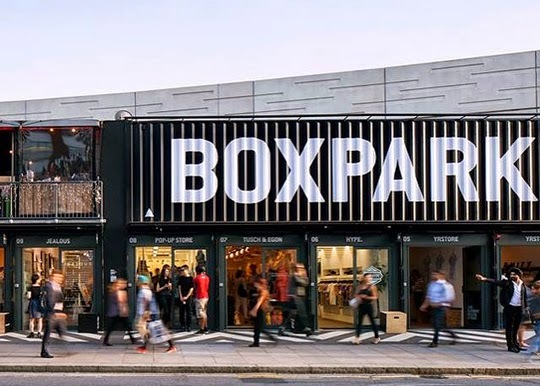 Boxpark Pop Up Starts Today! 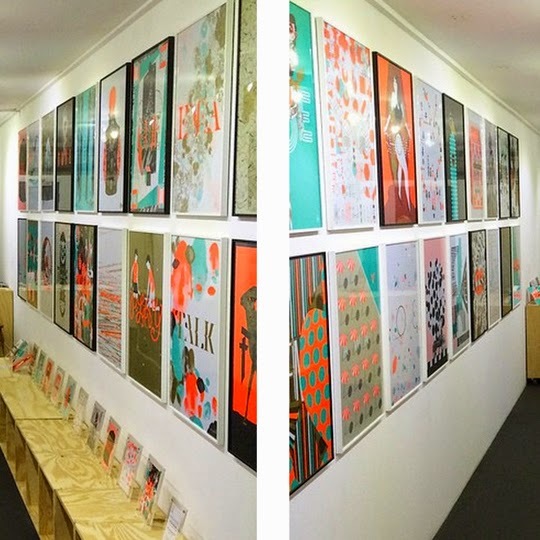 Pop-Up print show ‘Unlimited FOUR PLAY’ at the super cool shipping-container-shopping-mall BOXPARK, Shoreditch. 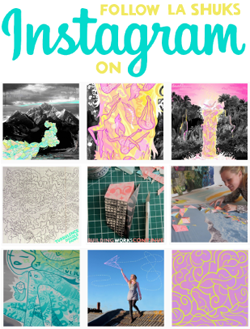 BREAKING NEWS: La Shuks finally on Instagram! 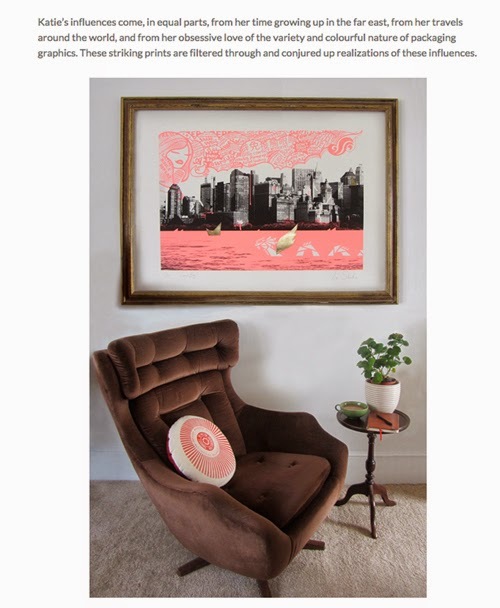 Lovely little feature in Heart Home Magazine. 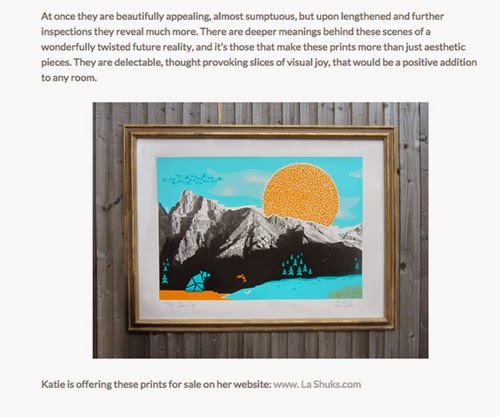 Ooh, “Bear Ridge” by La Shuks spotted in Inside Mag! I was very happy to be part of Pick Me Up, Somerset House London for the 2nd time. 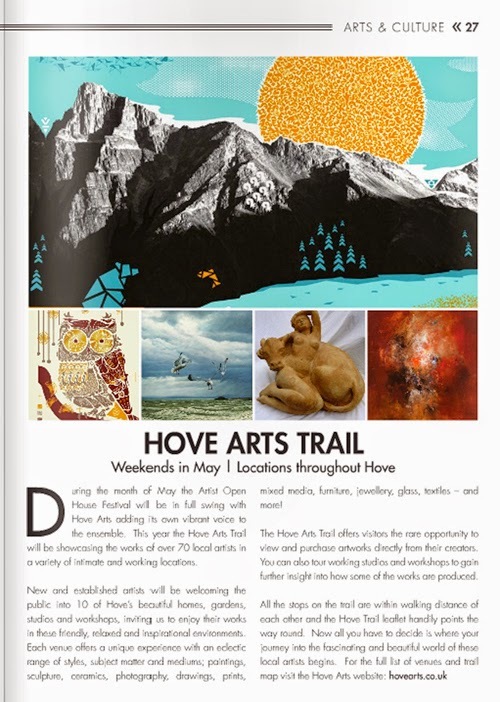 My piece at Pick Me Up, with the Unlimited Collective, amazing Brighton based shop, and online store, 2014. 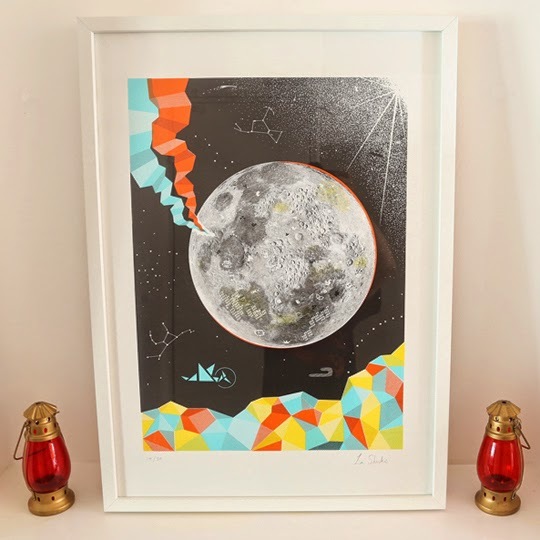 This screen print is called Moon Venture and was a ridiculously complicated print to make as there are extra colour shades made out of strategic dots!